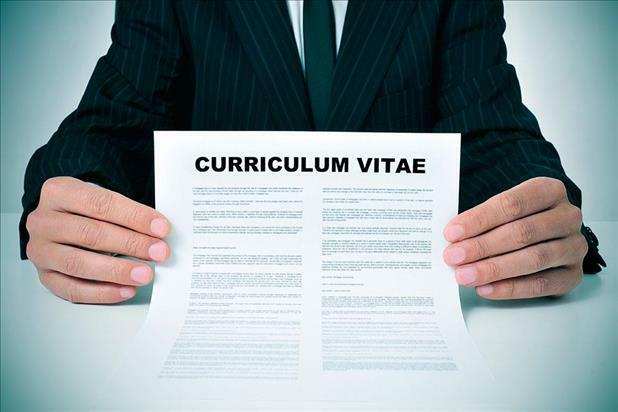 A lot of job seekers find themselves confused about the difference between a resume and a curriculum vitae (CV). The simple answer is that a resume functions more as a marketing piece whereas a CV is “just the facts.” However, the complete answer goes a little bit deeper than that. In some areas of the world, “resume” and “CV” are almost interchangeable in describing a document that outlines your professional credentials, but this article will focus exclusively on how the two documents differ within the American job market. A resume is a concise document (usually 1–2 pages) with a particular marketing strategy and can differ in the way information is presented or even the way the overall format is organized. There are three main strategies for resume writing: chronological, functional, and hybrid. Chronological Format: Chronological resumes begin with a summary paragraph and core competencies section followed by the job seeker’s professional experience (listed in reverse chronological order with specific information for each position covering duties and achievements) and any other relevant sections such as education, affiliations, technical skills, community involvement, and publications/presentations. Functional Format: This strategy contains most of the pieces of a chronological resume including beginning with a summary and core competencies section, but rather than going into detail about each previous position, the functional format includes a career highlights section that touts the person’s top achievements followed by a list of previous positions that only consists of employer name and location, job title, and dates of employment. Hybrid Format: This is the “best of both worlds” and contains the most effective parts of the chronological and functional formats: a selected career highlights section as well as details for each of the candidate’s previous positions. Name and Contact Information: Just as with a resume, a CV must contain the candidate’s name, address, phone number, and email address at the top of the document’s first page. Areas of Interest: A list of specialties or focus of academic/research work. Education: Unlike a resume, which only includes graduation dates for recent graduates, a CV will include all necessary information regarding the applicant’s educational background including institutions, graduation dates, and titles of dissertations/theses. Grants, Honors, and Awards: While a resume may include these accomplishments in a selected career highlights section, a CV contains an entirely separate section for these accolades. Publications and Presentations: This entire area is dedicated to highlighting scholarly articles, essays, and/or peer-reviewed research as well as presentations given at conferences. A resume may truncate this section in order to keep the document to two pages (including the rest of the publications/presentations as part of an addendum), but a CV will always include an exhaustive list. Employment/Experience: This section will include paid and/or unpaid positions and internships and can be broken up further to separate teaching experience, laboratory experience, field experience, volunteer work, and other relevant information. Scholarly/Professional Memberships: This section is also commonly included on a resume and contains information regarding the candidate’s affiliations and whether or not they held a specific office or position within the organization. References: Unlike a resume, which leaves this information for a separate page, a CV will include a list of present and past colleagues, supervisors, mentors, and/or research partners that will serve as a reference for the job seeker. This area must include details regarding the person’s relationship to the job seeker as well as their current position title and contact information. If you’re transforming your CV into a resume, take the information you already have compiled and condense it to the most recent (within 10 or 15 years) and the most exciting (quantifiable achievements and unique qualifications). Create a summary section with powerful language that generates interest in the reader and clearly shows the value you have to offer their company. Include a core competencies section and present your career history in a succinct way with an emphasis on results. Decide which strategy may work best between the traditional chronological, functional, or hybrid format. While you won’t be completely reinventing the wheel, there are distinct differences between a resume and a CV that need to be considered, and of course pay close attention to which format the hiring manager is asking for.